At Lindquist-Kleissler & Company we have more than 30+ years of bankruptcy law experience and can help you with all your personal and business bankruptcy needs. Call us for a free initial consultation and bankruptcy packet. Denver Bankruptcy Lawyer Arthur Lindquist-Kleissler has been helping people and businesses pursue their best options for debt relief since 1979. From simple debt relief remedies to complex corporate bankruptcy cases, Mr. Lindquist-Kleissler and the experienced legal professionals at Lindquist-Kleissler & Company, LLC can always be trusted to provide each of their clients with the highest quality of legal services. Denver Bankruptcy Lawyer Arthur Lindquist-Kleissler has been helping people and businesses pursue their best options for debt relief since 1979. 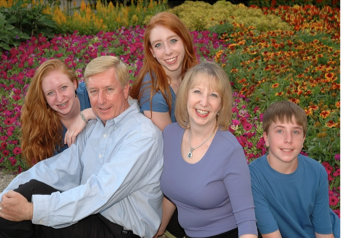 Help them resolve their cases as efficiently, favorably and discretely as possible. For individuals seeking debt relief and a financial fresh start, Chapter 7 bankruptcy is often the best route to pursue. In fact, nearly 85 percent of the bankruptcies filed in Colorado last year were Chapter 7 bankruptcy cases (according to the U.S. Bankruptcy Court). When filing for Chapter 7, borrowers can effectively get some of their serious debt discharged (i.e., forgiven) while protecting some of their treasured assets (like their home and car) by taking advantage of bankruptcy exemptions. Credit card debt, medical debt and mortgage debt is among the types of debt that can be discharged through Chapter 7 proceedings. It’s important that people considering Chapter 7 are aware that this type of bankruptcy may not discharge all of their debt and that they have to pass a means test in order to qualify for Chapter 7 bankruptcy. When people don’t qualify for Chapter 7 bankruptcy (because, for instance, they earn too much money or they have recently filed a Chapter 7 case), filing for Chapter 13 bankruptcy can be their best option for debt relief. Also referred to as reorganization bankruptcy, Chapter 13 requires that borrowers develop repayment plans that detail how they will pay their outstanding debt to creditors over the course of three to five years. 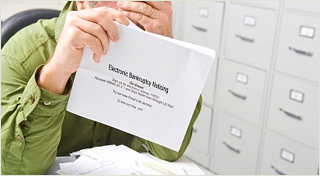 Chapter 11 bankruptcy, also referred to as corporate or business bankruptcy, is a more complicated debt relief solution for distressed enterprises. In general, Chapter 11 bankruptcy cases will involve developing a reorganization plan for the struggling business in order to help relieve some of its debt, streamline its operations and help it become profitable. In some cases, Chapter 11 proceedings may involve planning for the partial liquidation of a business’ assets or planning for other efforts to reorganize the business and resolve its debt while it continues to operate. If you (or your business) are facing any type of serious financial crisis and are ready to explore your best options for debt relief, it’s time to contact Lindquist-Kleissler & Company, LLC. For more than 34 years, Denver Bankruptcy Attorney, Arthur Lindquist-Kleissler has been providing both individuals and businesses with the highest quality of legal services when it comes to debt relief and bankruptcy (including civil litigation matters associated with bankruptcy). When you choose to entrust your important financial and legal matters to Mr. Lindquist-Kleissler, you can rest assured that he will help you resolve your debt issues so that you are able to achieve the best possible outcome to your case. To learn more about your debt relief options and whether bankruptcy may be effective at helping you resolve your debt, set up a free 30-minute initial consult by calling (303) 691-9774 or by emailing our firm using the form on this page. You will pay nothing up front to obtain trusted, professional advice regarding your case and your options. When you face job loss, divorce, medical bills, credit card debt, foreclosure, or are overwhelmed with debt for a different reason, a knowledgeable bankruptcy attorney will help you decide whether personal bankruptcy is your best option. 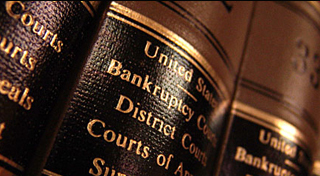 Chapter 11 Bankruptcy, or corporate bankruptcy, is complex and calls for the assistance of an experienced bankruptcy attorney. 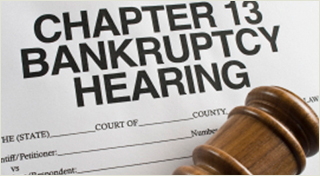 If you are an individual experiencing financial difficulty, a qualified bankruptcy lawyer can help you decide whether filing for Chapter 13 Bankruptcy is appropriate in your circumstances.